This January, our team gathered for one of our too infrequent in-person all-hands huddles. Among the other points of discussion, we took some time to recognize our team and introduce three new awards recognizing areas we consider important to our success as we execute our homeland security risk management mission. In future years, these awards will be given to Gate 15 personnel. This first year, we decided to recognize some of the leaders that have been critical in getting us to where we are today. The mission of Gate 15 has been propelled by various kind and courageous people who possess vision, have given us, and earned our, trust and confidence and who “just get stuff done.” We took a few minutes to recognize that we have come a long way, that there is much more to do, and that without the help, guidance and the desire to get it done, we wouldn’t be here. We recognized and thank Mr. Michael Arceneaux, Chief Operating Officer with the Association of Metropolitan Water Agencies and Managing Director, WaterISAC who has earned our strong trust and confidence as a leader and has exhibited superior risk management and operational security efforts in the conduct of his homeland security activities. We recognized and thank Ms. Denise Anderson, President, Health Information Sharing and Analysis Center (H-ISAC), and Chair, National Council of ISACs (NCI), activities for her vision, guidance, and execution of numerous ideas that have enhanced our nation’s homeland security across multiple sectors in both private and public sector coordination. We recognized and thank Ms. Casey Ateah, with the US Department of Homeland Security (DHS), for her tenacity in accomplishing her homeland security missions. Despite encountering abundant challenges, obstacles, and resistance over the years, Casey has always found a way to achieve her mission and advance our nation’s homeland security and resilience. 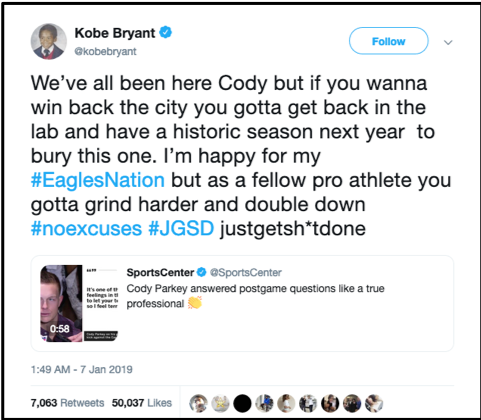 The name of the JGSD award was inspired by a recent tweet from basketball legend Kobe Bryant, after the Chicago Bears playoff loss. The spirit in the last sentence exemplifies a winning attitude and determination success needs. Sometimes we all need to quit making excuses and JGSD. 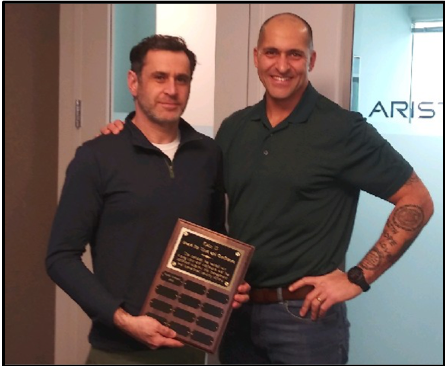 We were fortunate enough to have Michael join us in-person to receive his award. Casey was able to join us via video conferencing. Denise Anderson was, as always, traveling and advocating to further the homeland security mission and international coordination, and was unable to join us. These awards, shared with these three outstanding individuals, are perpetual awards – each year, we will recognize someone in our midst who deserves that recognition. Just as Gate 15 has grown and been blessed with continued success in 2018, we are looking forward to continuing to support our current operations and exciting new opportunities in 2019. Thanks to the team members who work hard every day, to the clients who have put their trust and confidence in us, and to our partners who drive us forward and make us better! ← Have a Blended and Complex New Year!